Mr Printables is a fantastic source of free, creative printables, so all you’ll need for these is a paper, a printer, and some glue. Easy peasy. 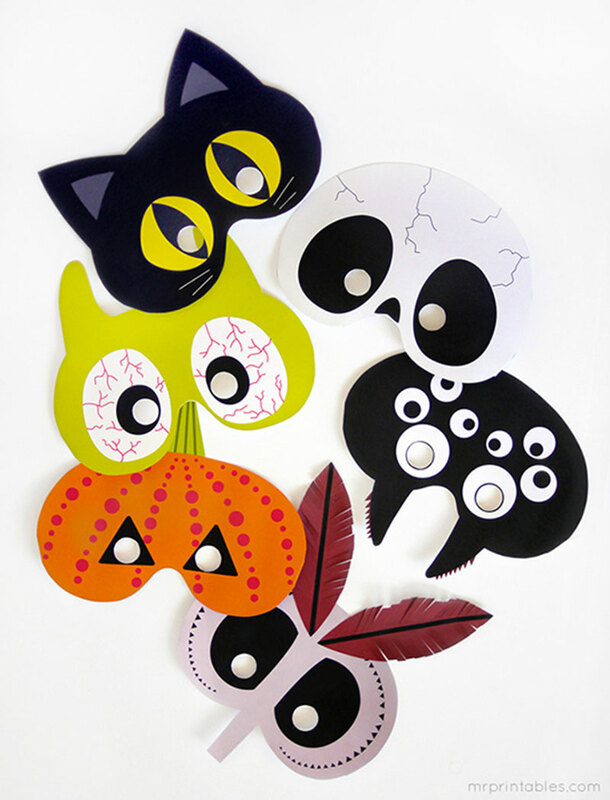 These masks are perfect for little kids who aren’t into super scary costumes. 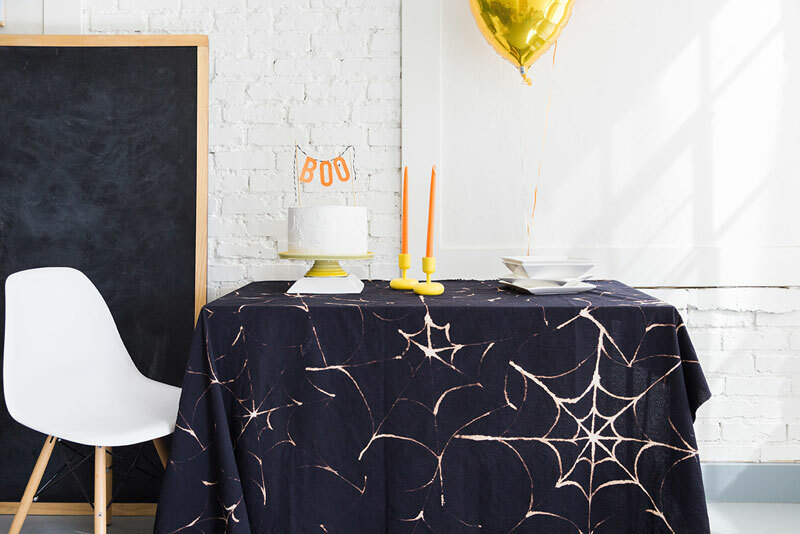 If you’re throwing a halloween party this DIY is perfect for decorating your table – head to The House That Lars Built to find out how you can make this spooky spiderweb tablecloth. 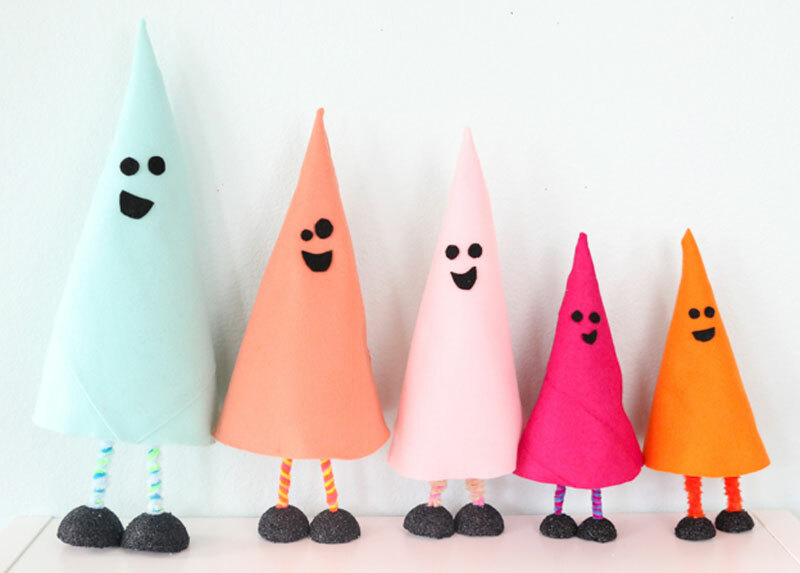 Make these costumes for your little ones and be the coolest parent ever. 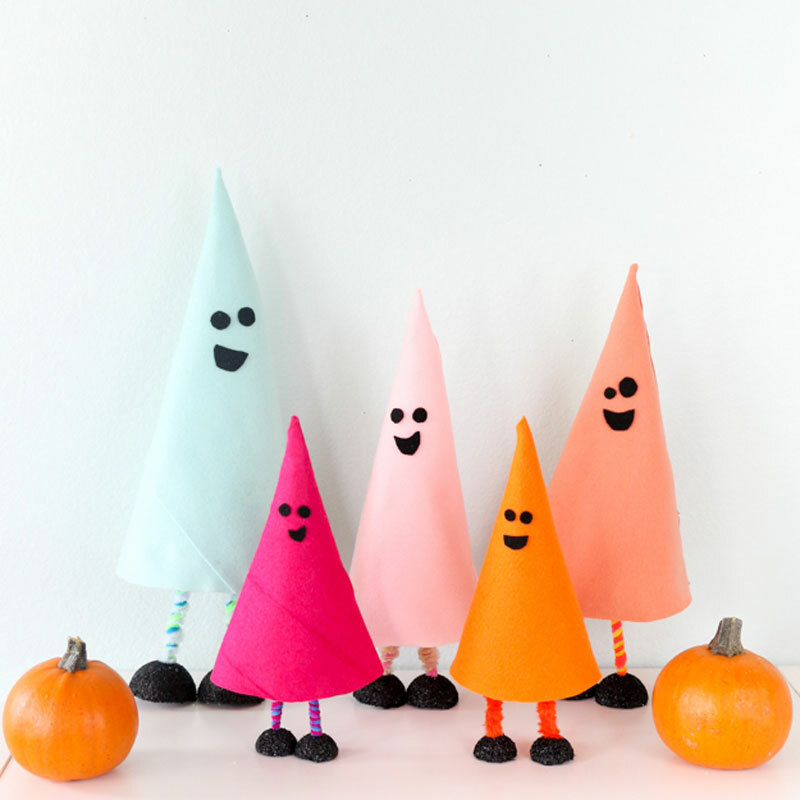 These halloween ideas from Oh Happy Day are way more fun than your average witch. 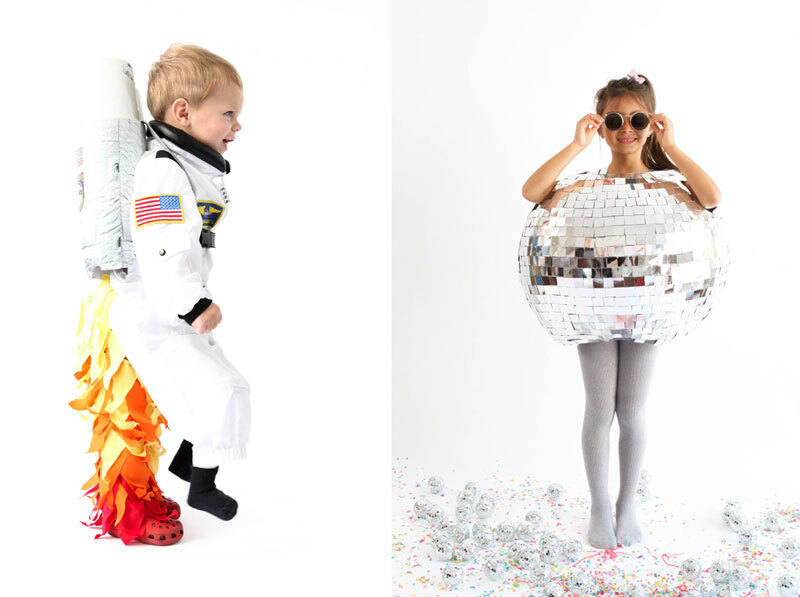 Rocket Astronaut + Disco Ball. 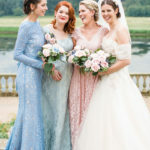 Your halloween colour scheme doesn’t have to be all black and orange, brighten things up with these gorgeous ghosts. 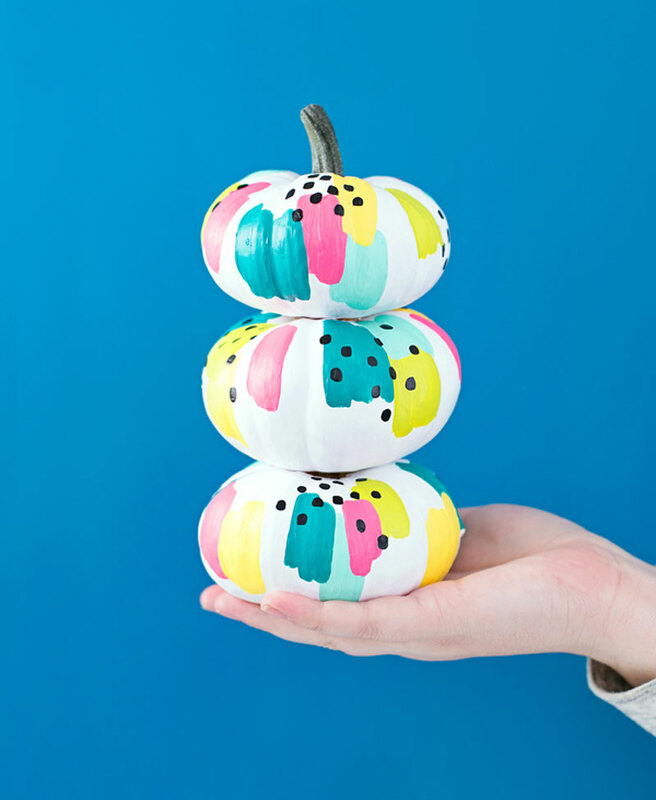 These abstract painted pumpkins are beautiful and perfect for lazy carvers. 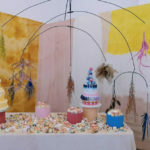 They’re a lot quicker to do if you want to decorate in a hurry, and they don’t create half as much mess. easy to make and so cute. 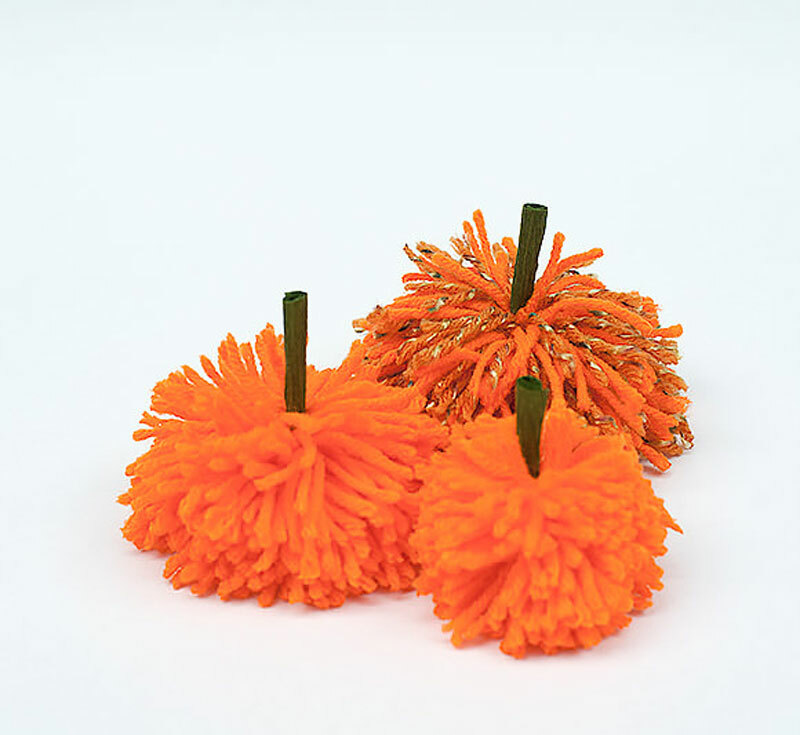 These little pumpkin pom-poms are perfect for popping around the house at a party. If you’re throwing a halloween party this year, why not make a patchwork to let everyone know the plan. Ask friends to bring a treat, add to the playlist, or help you decorate, then keep track of who’s doing what in your account. See our template party patchworks here or create your own from scratch.